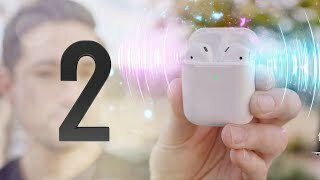 Rumors about the upcoming Apple Airpods 2 is all over the place but the Apple AirPods 2 release date India is still a mystery at the moment. 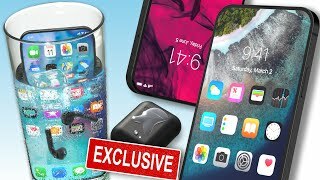 A massive change is expected with new design and features and here we have gathered all the rumors and leaks to find out more about the specs, design, date and Apple AirPods 2 India price. Continue reading to learn more about one of the most anticipated gadgets of 2019. While a lot of people made fun of the Apple AirPod’s design, it is quite evident that people didn’t give it too much thought seeing the number of people who bought the first Apple AirPods. Although the design is not expected to change drastically, it’s rumored to show up with a special grip coating and a new black colour option. Another thing about the upcoming Apple AirPods 2 to get excited about is waterproofing. We have learned from a leaked report that the 2019 version will have some sort of waterproofing: it can be rain or splash resistant or complete IP rated waterproofing. 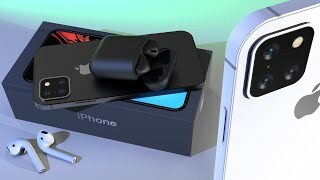 As the latest Apple iPhone XS and iPhone XS Max is IP68 rated for dust and water resistance, it is about time that the earphones from Apple receive a similar treatment. We will be able to find out more after the Apple AirPods 2 release date India. Some earbuds like the Jabra Elite Wireless are capable of tracking physical activities and the AirPods 2 may include similar features. An early report in 2018 suggested that the Apple earbuds will have biometric sensors and it was supported by another report in January 2019. It will be able to do more than just measuring your heart but we will have to wait for the Apple AirPods 2 release date India to learn about these fitness features. Although the Apple Watch Series 4 is much capable of doing these so it will be interesting to see how people respond to these features. It is also rumored to handle ambient sound in a better way by using a microphone. Almost all the latest devices from Apple currently supports wireless charging so it should come as no surprise that the AirPods 2 will have this technology by default. The older AirPods can be charged wirelessly using the new charging case but this shouldn’t be the case with the upcoming ones. 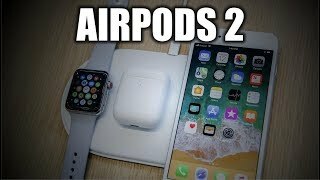 Hopefully people will eb able to use most of their Apple products using AirPower. People will be able to use Siri easily this time as it won’t require a tap. The upcoming 2019 versions will allow users to activate Siri hands-free. 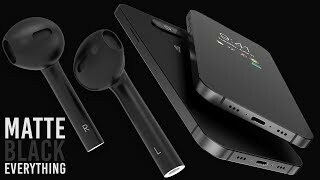 As the earbuds will include the latest W2 chip which we have seen in the Apple Watch 3, it will have better connectivity and Bluetooth 5.0. Surprisingly, users will get all these new features at a similar price as the original AirPods. According to multiple reports, the AirPods 2 will be available at a similar price as it’s predecessor which means it will be around ₹ 10300 . 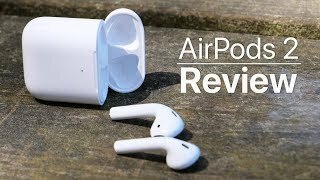 However, some websites suggested that the Apple AirPods 2 India price will be around ₹ 12900 because of the water resistance and new features. 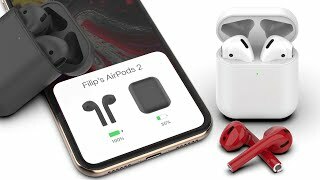 The airpods Headphones & Earphone is manufactured by Apple and was added around October 2018 and is part of the Apple AirPods series. The model comes in 3 other variations including combination of White Color , In ear, In Ear - Earphones Headphone Type. The best price for the Apple AirPods in India is ₹ 11599 sold at Tata Cliq and available with free shipping and delivery within 1-7 business days. By comparing prices and buying from the cheapest store you can save up to 55% or ₹ 14440.